You can request a block report from our email system. This is an experimental tool, however. Please be advised that I will take some time to get used to it. But you can always refer to this document for detailed instructions. Some emails in the block report will not be available and you will have to request those from your sender(s) individually. 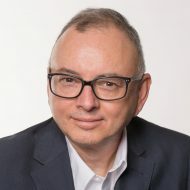 To request the report send an email to blockreport@askjuan.net. 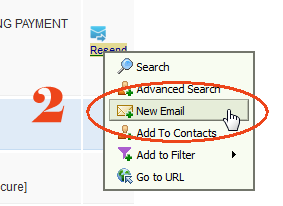 Put a “number” in the subject line to represent the number of days to retrieve. For example, put a “1” for one day or “14” for two weeks. You chose a number that is convenient for you. Do not include the quotes. In the subject line: put a “+1” for daily; a “+7” for weekly; etc. Again, do not include the quotes. To stop receiving regular reports, send a “-1” (minus 1) to stop the daily, etc. Leave the body blank. Hit SEND and wait a few moments. 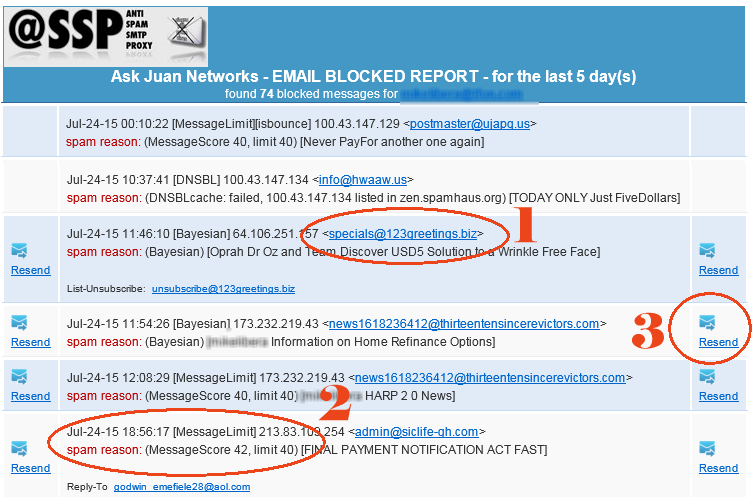 After a little while, you will get an email from support@askjuan.net with the subject ASSP-Block-Report. The email you requested will be automatically resent to you. If this has been helpful at all please leave a comment below. If it confused you further, please leave a comment below. I will read every single comment. I promise.